Yesterday, we walked you through how to apply fake eyelashes properly so now it’s time to talk about what happens when you’re done with your lashes for the evening and it’s time to take them off. To be perfectly honest, leaning how to remove fake eyelashes won’t be much more difficult than learning how to apply them. In fact, you’ll probably find it much, much easier. It just takes a little care and a little caution, but it’s nothing you can’t handle. Let’s talk about how to remove fake eyelashes and tomorrow, we’ll get into how to clean and store fake eyelashes so that they can be reused. For now though, let’s just talk about removing them. Now, I want to be clear about something. I always recommend using either fake eyelash remover to remove fake eyelashes or, failing that, eye makeup remover. 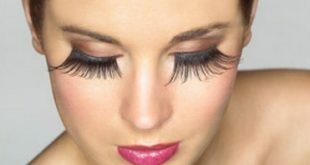 These solutions are designed specifically for, you guessed it, removing fake eyelashes and eye makeup. That means they’re safe sure use around the eyes. Other solutions may not be. For that reason alone, anyone interested in learning how to remove fake eyelashes should invest in false eyelash remover or eye makeup remover. I prefer using false eyelash remover because in my experience, it’s better at dissolving false lashes but it can be a bit more expensive than makeup remover. 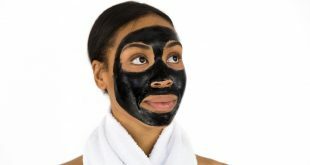 If makeup remover is not in your price range either, there are a few options that may be more budget friendly for you. Virgin coconut oil or olive oil may be a more affordable option for removing fake eyelashes because many women will have one or the other (or sometimes both) in their kitchens already meaning they don’t have to spend money on a whole new product. Both oils will work for getting fake eyelashes off and are safe for use around the eyes. I’ve found that neither option works quite as well as actual false eyelash remover but they still work well enough to consider them a viable alternative. They work by loosening the glue on the false lashes, making them much, much easier to remove. Finally, you can use good old fashioned soapy water to remove fake eyelashes. I would only recommend this as a last resort because, well, soap + eyes = pain but it is still an option all the same. I’ve only used soapy water to remove my fake eyelashes a handful of times but I have to admit, it really does work. It actually works about as good as the false eyelash remover I usually use. With that said, it’s important to use caution. You don’t want to wind up with red, irritated eyes because you weren’t careful enough. Step One: Dip the tip of your cotton swab into the solution you’ve chosen to use. You want to be careful with how much solution you get on the swab. It should be enough to saturate the lash line but not so much that it’s dripping and running into your eye. A little bit really will go a long way. You can always choose to add more if you didn’t add enough the first time. Step Two: Dab at your lash line with the cotton swab starting on the outside corner and working your way in. We’re going to be dabbing, not wiping. Wiping will just increase the chances of solution getting in your eye and will make it far more difficult to be precise. Focus on the area where the fake lash has been glued to your eyelid. Because you’re using the solution to dissolve the glue holding the lash on, you obviously need to have most of the solution where the glue actually is. In other words, you don’t need to coat your entire eyelid with the solution – just the lash line. Step Three: Leave the solution on your lash line for a few seconds to make sure it really has a chance to work its magic. 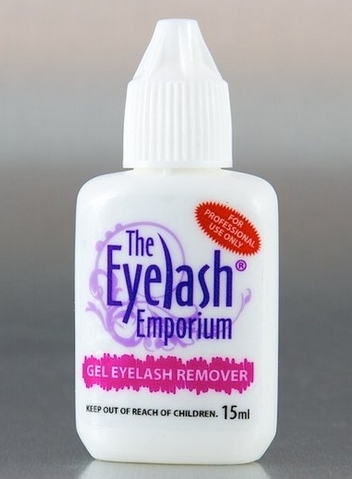 If you’re using actual false eyelash remover, the bottle will likely tell you how long you should leave it on. I like to give it at least thirty seconds but if you find the lash is still hanging on tight after thirty seconds, try giving it another thirty seconds. If it still isn’t budging, dab on a little more solution. Step Four: This one depends on what kind of fake lashes you used. If you used a full strip, start removing the lash by taking the outside corner of the lash and peeling it toward your nose. You shouldn’t have to tug on it at all. If you have to tug, either give the solution a few more seconds or apply more. You can use tweezers for this step if your fingers get in the way. If you’ve used individual lashes, you’re going to want to use the tweezers for sure. Individual lashes will be removed much the same way but instead of peeling off the entire strip, you’re just going to peel off the single lashes. Step Five: You’re going to finish up by getting rid of any residual glue that may still be on your lid. Use a little more solution to clean off your lash lines and then remove the rest of your makeup the way you normally would. All done!